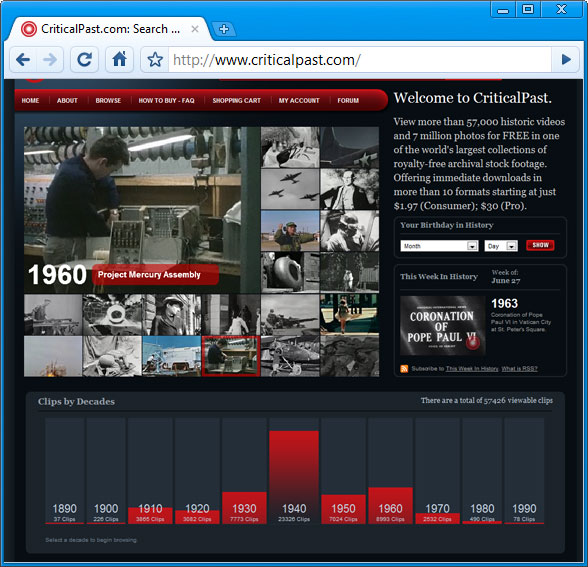 A giant video archive of documentary films of the 20th century. More than 57 thousand videos and 7 million photographs cover the period from 1930 on all sorts of topics. search by date, by the way, you can specify a date without a year, and sort by years, geographical coordinates, audio track, etc. in the results. We look for free, we swing for money. A paradise for lovers of documentary. Documentaries are collected here, there are fresh, there is a top, a catalog.